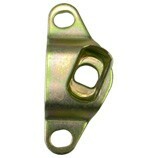 This metal handle goes in the center of your trucks tailgate and is used to open the tailgate. Also fits 88-91 Blazer & Jimmy models. 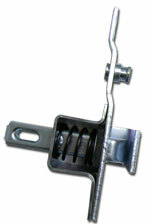 These steel release latches mount inside your trucks tailgate on either side and release the tailgate when the handle is pulled. These metal latches go inside the tailgate and are used to open the tailgate. Left only. 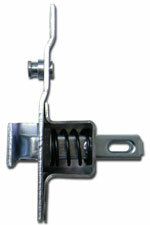 These metal latches go inside the tailgate and are used to open the tailgate. Right only. These metal latch rods go inside the tailgate and are used to open the tailgate. Sold in pairs only. 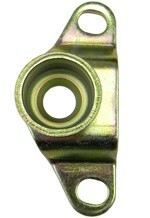 This link arm connects the tailgate to the bedside and provides the support for the tailgate. Metal hinge that attaches to bedside and allows tailgate to pivot. Right hand side is notched to allow removal of tailgate. Sold as each. These metal hinges bolt to the tailgate and provide the pivot connection to the trunnion attached to the bedside.